Most people can’t afford gold in ounces or even 1/4 or 1/10 ounce coins or bars. Gold in small denominations or currency grade gold is an option for those who have a quite “limited” supply of currency. Obviously, it’s more expensive to acquire gold in small amounts, however this way it’s possible to get a gram of gold every week or two without too much stress on a budget instead of waiting years before enough is saved for an ounce of gold. Today, there are several companies that offer gold in small denominations. Two of them are Swiss banks – UBS and Credit Suisse. 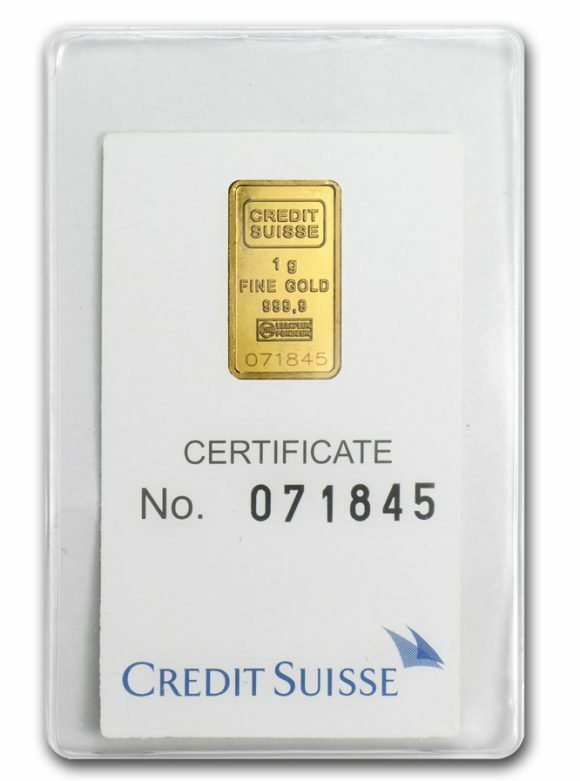 Read further to find more about UBS, Credit Suisse and other well-known firms whose LBMA gold in small denominations and of 999.9 purity is recognized worldwide. Click on any company name to go to its official website. UBS was founded in 1862 and is headquartered in two Swiss cities – Zurich and Basel. “UBS” stands for the Union Bank of Switzerland, however the acronym is no longer valid as in 1998 the bank merged with another Swiss bank, called the Swiss Bank Corporation. In the present day, UBS is the largest bank in Europe and the second largest bank in the world. 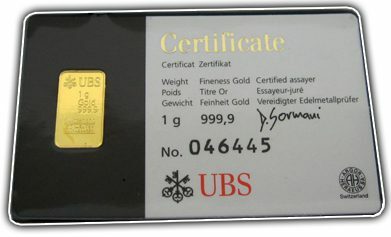 Like banks in other countries, UBS offers gold to its customers as a solid investment that stands the test of time. 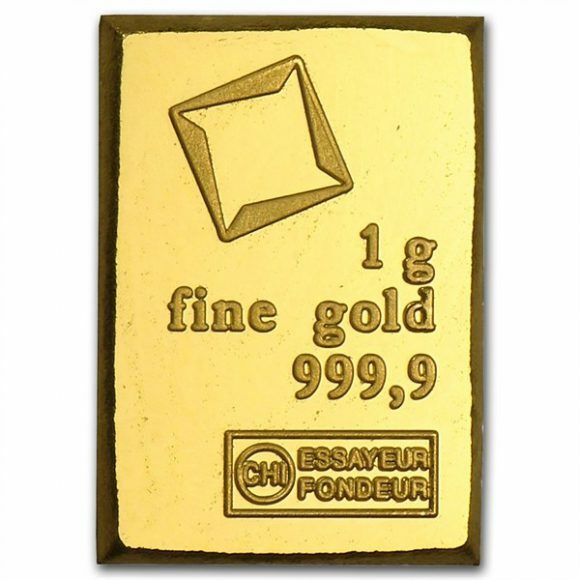 The bank’s smallest gold bars come in 1 gram, 2 gram and 5 gram weights. Credit Suisse was established in 1856 and is based in Zurich, Switzerland. Like UBS, Credit Suisse is a bank and is the second largest in Switzerland. 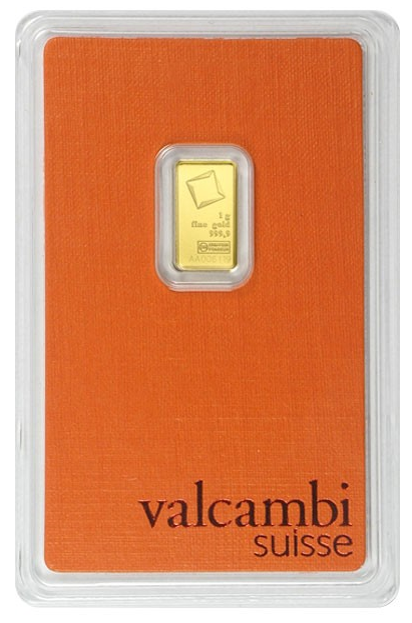 Their small gold bars are available in 1 gram, 2 gram and 5 gram weights. 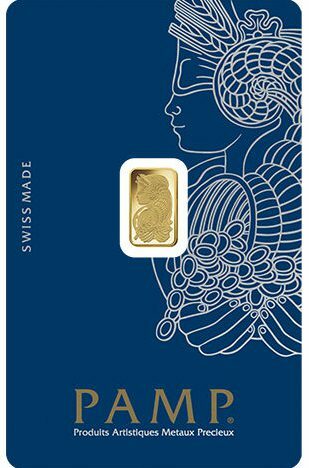 PAMP was created in 1977 and is centered in the Swiss city of Ticino. “PAMP” stands for Produits Artistiques Métaux Précieux which translates as Artistic Precious Metals Products. PAMP gold products are known for their elaborate design. Their collection of small gold bars includes 1 gram, 2.5 gram and 5 gram weights. Argor-Heraeus was founded in 1951 and is headquartered in Mendrisio, Switzerland. Argor-Heraeus’s gold products is a symphony of technological advancements and art. They offer gold bars in 1 gram, 2 gram and 5 gram weights. When established in 1961 in the Swiss city of Balerna, Valcambi was originally known as Valori & Cambi. The company is notable for its diverse selection of gold products – among bars and coins, it carries gold grain and round gold bars. 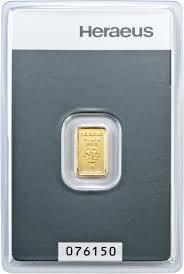 Their rectangular and round gold bars are made in 1 gram, 2.5 gram and 5 gram weights. 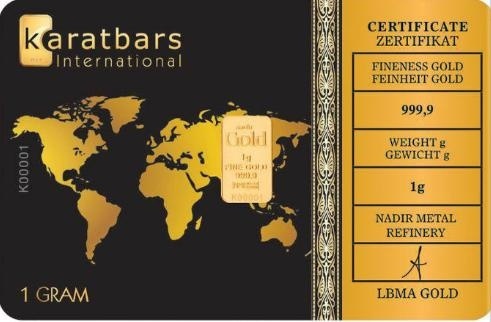 Karatbars came to existence in 2011 and is based out of Stuttgart, Germany. Unlike other companies listed here, the company only focuses on small gold bars. They come in 0.1 gram, 0.2 gram, 0.4 gram, 0.6 gram, 1 gram, 2.5 gram and 5 gram weights! 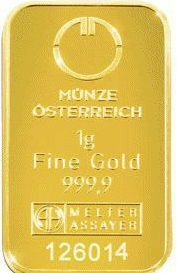 Although its roots go back to the 12th century, Munze Osterreich translated as Austrian Mint was officially founded in 1989, in the Austrian city of Vienna. In that same year, Austrian Mint became owned by the National Bank of Austria. 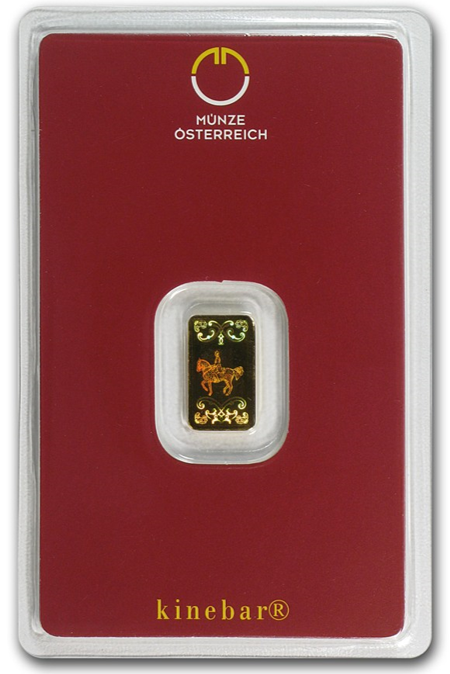 Austrian Mint’s gold bars are available in 1 gram, 2 gram and 5 gram weights. Heraeus was found in 1851 and is headquartered in Hanau, Germany. It is one of the largest family-owned companies in the world. 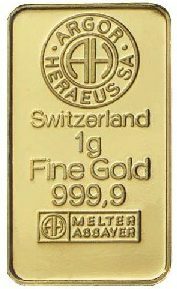 Heraeus’s small gold bars come in 1 gram, 2 gram and 5 gram weights. Although all above companies offer superior currency-grade gold, Karatbars in my opinion went an extra mile in terms of the benefits it offers. To learn more about the company, check it out here. It’s completely free to join, no hidden charges of any kind. Close-up photos of Karatbars gold bars are not available because the bars already come embedded in these credit-like cards. 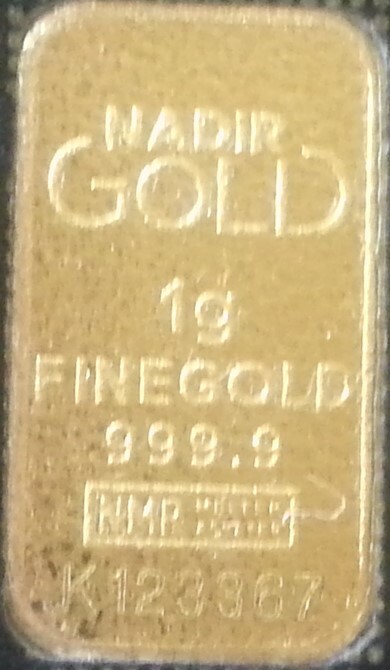 For the above close-up photo, I took a photo of the Karatbars gold bar card, cropped and enlarged it. Whoa, really cool info. I always heard about how safe and reliable investing in gold was, but I never realized you could buy it in such small denominations. It looks like all these banks are selling them in denominations as small as 1 gram. Do you think any of them are better or safer to deal with? Or is it pretty much the same across all banks? Hello Rob. The two mentioned Swiss banks, UBS and Credit Suisse, have been having an international client base for a long time – their reputation is unquestionable. After all, Switzerland is known specifically for these two banks. Hey that’s really interesting I never ever really thought to save in gold instead. I guess it’s a solid investment because Gold is always going to be a valuable source. How does it work if you just have gold in your jewelry box, would that be the same worth, or it the way your talking about when it’s been unused a more solid investment. Very informative indeed, will have to look more into the company. Thank you Rose for visiting the site.